Although I feel like a child of the world in many ways, Switzerland will always have a special place in my heart. 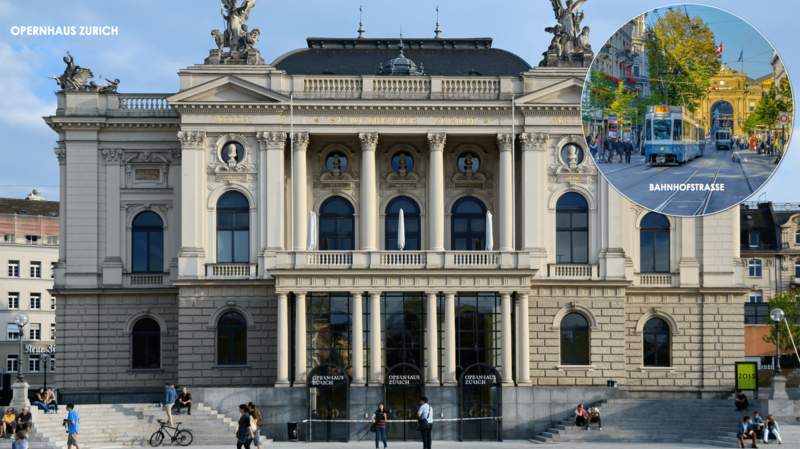 After all, there’s no place like my home city of Zurich to learn about Switzerland’s rich cultural history, eat like a queen, and get in some shopping while you’re at it! While one could literally spend a lifetime exploring all that this beautiful city has to offer, I’ve put together the perfect itinerary for a busy but fun 48 hours in Zurich—filled with all of my favorite spots! There’s no better place to begin your acquaintance with Zurich than the chic Bahnhofstrasse fashion district (more on that later! )—complete with Louis Vuitton, Chanel, and Dior. Treat yourself after your shopping spree at one of these delightful restaurants: Rive Gauche in the heart of the city, George Bar & Grill sailing high above the rooftops, and Hiltl vegetarian restaurant in Sihlstrasse—famous for being the longest-running vegetarian restaurant in the world. Finish off your whirlwind 48 hours with coffee and macarons at the decadent Spruengli. There’s plenty more to see and explore in this luxurious city—voted one of the wealthiest and happiest places in all of Europe! In between the top spots listed above, take your pick of the entertaining activities below to make the most of your two days in Zurich. Take in the local scene and the gorgeous Swiss sunrise at an open-air restaurant along the Limmat River. Then, enjoy a sweet treat from one of the many food carts along this striking and breezy river. The bustling pedestrians and bikers combined with the Limmat’s fresh breezes are the perfect welcome to Zurich! While I highly recommend one of the Limmat River cruises if you’re in town for more than a couple days, walking the length of this river and along Lake Zurich—which feeds the Limmat—can make for a rich experience and a perfect taste of this city’s wonders. There’s no time like late morning to revel in love—your early morning sleepiness has dissipated and the day still feels fresh, new, and full of possibilities. After your river stroll, cross the deeply romantic Muhlesteg Bridge with your beloved, one of several love-lock bridges found across Europe. While this bridge serves the practical purpose of taking you to the Bahnhofstrasse shopping district, it gives you the perfect excuse to celebrate your romance along the way! Bring a padlock with you to act as a symbol of your love. Together, walk this bridge before offering a sweet kiss to one another and the lock before affixing it to the railing. Then toss away the key (in a waste bin please!) to symbolize your love’s eternal nature. There’s nothing like a little shopping to bring a smile to my face—especially when traveling! I love opening my suitcase after a trip abroad to discover the lovely pieces that I brought home with me. Each item carries with it the memories of the location I visited! Bahnhofstrasse, the Swiss German word for “station street,” provides the ultimate shopping experience in Zurich with everything from well-known luxury brands to chic local boutiques. Plus, did I mention that Bahnhofstrasse is both gorgeous and pedestrian friendly? With numerous benches and parks, the promenade provides a welcoming and awe-inspiring outdoor environment. I recommend starting at the Laderach Chocolatiers on Banhofplatz and following the promenade all the way to Tiffany and Co. on Borsenstrasse—a mere 1 kilometer stroll with a well-deserved lunch detour in Altstadt (Old Town). German for “old town,” Altstadt and its architecture date back to before the middle ages—this small area encompassed the entire city up until the late 1800s. With winding streets, local shops, and street side cafés filled with international delights and local delicacies alike, Altstadt offers a Swiss heritage site replete with national and global significance. Enjoy classic Swiss cuisine at one of the area’s many restaurants before taking in the historic buildings, graveyards, hills, and fountains. Visit St. Peter’s Church to see the largest clock face in the whole of Europe—installed in 1366—before returning to Bahnhofstrasse to continue your fabulous shopping spree. Local legend says that the breathtakingly beautiful Grossmunster Church was founded when Charlemagne came upon the graves of Saints Felix and Regula. This Romanesque architectural marvel, erected in 1100 AD, is just a short walk across Munsterbrock Bridge from Bahnhofstrasse. With astounding twin towers, Grossmunster may be the most recognizable feature in all of Zurich—its ancient peaks tower above the skyline, embodying the timeless grandeur of this historic city. Wander the church grounds to find architectural delights in every nook and cranny before stopping in at one of the local eateries, popular among University of Zurich students, for a quick bite. Featuring art by such internationally-acclaimed painters as Monet, Chagall, and Picasso, as well as hundreds of local artists, the Kunsthaus Zurich is the foremost art collection in Switzerland and one of the most renowned in all of Europe. Whether you enjoy ancient or contemporary works, or any art period in between, the Kunsthaus is sure to blow you away. Conveniently located next to a Zurich tram system stop, this gallery is also extremely accessible. Take in the museum’s grand exterior, designed by famed architects Karl Moser and Robert Curjel, before entering. Then, once you’ve explored every exhibit, simply hop on the tram to return to your hotel after a long day of walking and wonder. You may even choose to dine at the elegant and gourmet Kunsthaus Restaurant! 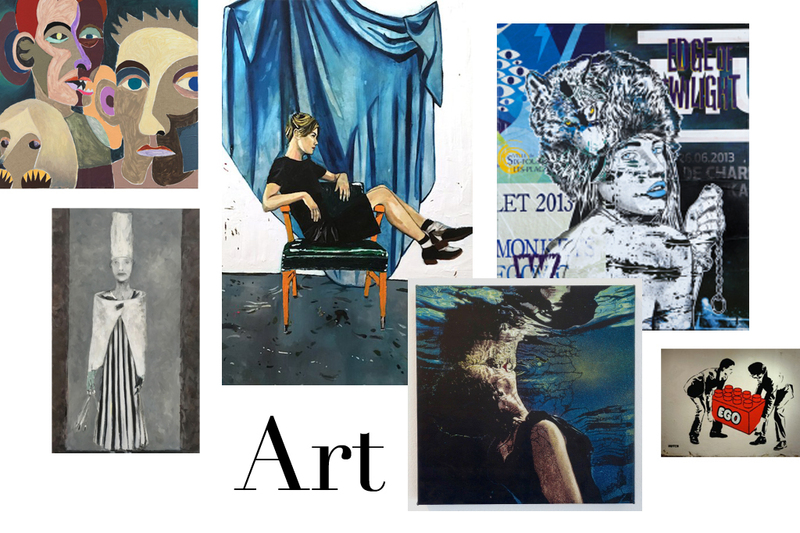 For those of you who are art lovers like me, be sure to also check out Galerie Peter Kilchmann and the Rietberg Museum—and drop into the Starkart Art Gallery in the evening for some amazing contemporary urban art exhibitions. You could fill an entire day just with art! Plus, if you just happen to be visiting in the fall, consider coordinating your trip with the Contemporary Art Fair Zurich, a stunning display of contemporary art which typically takes place over a weekend in September or October. While I recommend taking at least a week to roam all of my gorgeous Zurich, this lovely city can also make for a truly romantic (and very busy!) 48 hours. It offers a wonderful glimpse into the whole of Switzerland with highlights in art, history, and cuisine. I can’t wait to hear what you think!